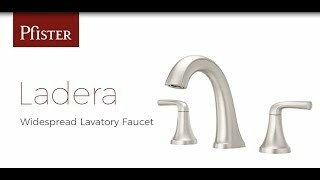 The Ladera family offers a simplicity that seamlessly ties together your decor. Modern and traditional elements marry using straight lines and sweeping curves to create aesthetic harmony and visual balance in a transitional design. The blend of styles makes the Ladera collection the perfect option for an easy refresh or an entire remodel that will update your current look and stand the test of time. What could you do with an extra 5 minutes? Calcium deposits are notoriously hard to clean—unless you have Spot Defense! What could you do with the time saved by not scrubbing your faucet? Who doesn't like grilled cheese? 5 minutes could make all the difference. Really.